Looking for private in-home or in-studio Music Theory lessons? Our Agoura Hills teachers are ready to get you started. Find your teacher today! I teach chord and scale theory! How to apply it to your instrument or use it to make your songwriting better! Do you perhaps need help with your college or university music theory courses? I can help. 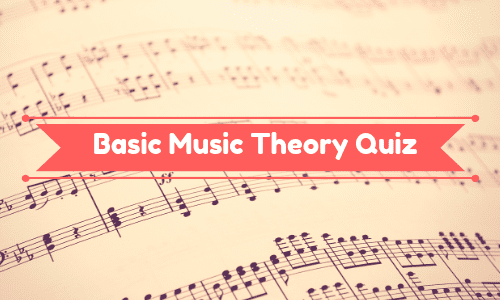 Do you perhaps want to learn the basics of music theory? I can help too! Each lesson is customized to individuals needs. I am comfortable teaching classical music because that is what I'm trained in. However, if a student wants to learn pop songs or New Age music I can accommodate them too. My emphasis is on sight reading and theory of music so children as well as adults can handle easy as well as more advanced pierces with their learnings. I am a graduate of Conservatory of Music in Iran. I have been playing piano since I was 6 years old. My background and training is in classical music but I am very comfortable working with students who are interested in popular, jazz, broadway or new age music. I am also a kindermusick educator which gave me the opportunity to work with babies and moms introducing the notion of music and rhythm to them with singing and introduction of instruments. annual recitals which is a good motivation for the kids to work hard and earn trophies and medals. Students can expect to have great sight reading as well as be able to play basic songs after 3 months. Yesterday was my daughter's first lesson, and I was a little worry if she would able to follow the instructions since she is only 4 years old. Teacher Simona was great my daughter. Her instructions were concise. My daughter did great and importantly she really enjoyed it. Simona is a fantastic teacher. She is very patient and effective instructor. I can not believe the progress I have made with her. I feel extremely lucky to have her as my teacher. Highly recommend her. Simona is an amazing piano teacher. She is very patient and loves to teach all of her students. She makes all the lessons really fun and is very calm while teaching. I have been playing the piano for several years with her and highly recommend lessons with her. You'll learn to apply music theory to compositions played on your instrument, improvisational strategies, songwriting and more. Many of my students have learned to love music theory! band Prima Donna Rising. In addition to performing, Steven is on stafff at Rio School District as Artist in Residence. Also, Steven was the head of the music department at North Hills Preparatory School and has taught guitar workshops at the Ventura College Institute. r all ages, styles and skill levels. Beginners are encouraged to apply. Students will have fun while reaching their musical goals. Students are taught to be musicians and artists through the study of the guitar. Students will learn cool songs, improvisation and music theory. I really love teaching music because I think music make the world a better place! ONLINE LESSONS AVAILABLE IN EARLY 2016! I am able to teach all styles from blues to jazz and all points between. My areas of expertise would most likely be in hard rock, metal, rock/jazz fusion, classical guitar, improvisation, songwriting and application of music theory. Steve is an exellent instructor. Easy going and brings a beginner like me to ease and motivated. Look forward to my next class! Wow! My son had absolutely NO prior experience and after just 4 lesson's he was rocking it and even reading music! Steven is absolutely wonderful with teens. My son looked forward to every lesson. Best teacher ever!!!!! Traditional and modern studies of music theory will help to understand how songs are created through chord analysis and study of correlating scales and keys. As a composer and arranger, I have a deep understanding of music theory and enjoy teaching the intricate ways in which music works to my students. Depending on the needs of each student, I can cover such topics as Classical harmony, voice-leading, and musical analysis, Jazz theory, harmony, and composition, sight-singing, ear-training, and arranging. I look forward to exploring in-depth musical concepts with each of my students! Liza W. is a professional singer, harpist, and composer. As a soloist and ensemble musician, Liza brings a new dimension to the harp’s role in contemporary music, striving to expand the possibilities for this unique instrument in Jazz, Classical, Folk, Latin, and World music. She grew up immersed in the vibrant musical culture of the San Francisco Bay Area and now is based in Los Angeles. Liza began teaching in high school and loves to share her passion for music with her students. She teaches voice, harp, music theory and history, music composition and arranging, and world music genres including Celtic and Latin music. Liza hold a Master's in Music from USC Thornton School of Music and a Bachelor's in Music from IU Jacobs School of Music. Liza is a wonderful and dedicated teacher. She his young, smart, patient and it is abvious to us that she cares and loves teaching harp. In the last few years, my daughter have had several teachers through out her piano and harp lessons, and I never seen her so excited before and after the her music lesson. She has been inspired and highly motivated from the first moment that she met Liza. If you are ready to take your music skills SERIOUSLY then stop wasting time and money on teachers who don't fully understand what they are teaching. My name is Russell Steedle and I have been playing guitar professionally for 19 years and engineering and producing records for over 10. I have worked with artists such as Sean Kingston, Lifehouse, Disney's Caityln Taylor Love and have composed music to 100s of your favorite TV shows! Want to learn to theory? production? writing? You will definitely like the Music Theory classes !!! When you know music theory very well, you easily learn playing any musical instrument. Moreover, by applying your knowledge you can create music on your own ! I am a music teacher and have taught professionally for over 20 years. I taught at Berklee College of Music, New England Conservatory, Musicians Institute, The Cornel School of Music and the California College of Music. My lessons are customized and follow the need and goals of each student. All ages welcomed! I teach beginner, intermediate and advanced piano students, songwriters and coach vocalists! I have developed curriculum for contemporary piano, ear training, solfege, music theory, songwriting and composition. Students will have the opportunity to build a strong foundation in contemporary musicianship and repertoire while having a wonderful time! Send me a message and let's get started! The average cost of 60-minute music theory lessons in Agoura Hills is $57. While the exact cost will vary depending on the teacher, type of lesson, and your location, you should expect to spend anywhere between $49 and $64 per hour. For the best experience, we typically recommend 60-minute music theory lessons. However, students looking for a more affordable option may want to consider a shorter lesson length of 45 or 30 minutes. On average, 45-minute music theory lessons are 18% less expensive at $47, and 30-minute lessons cost 36% less at $37. Curious how much music theory lessons cost in your area? Do a quick search to get local prices for the best music theory teachers near Agoura Hills. hings to me in a very clear and easy way. She was also able to help me with ear training lessons which was also surprisingly easy, considering it was a topic I felt I had a lot of trouble with at the time. She's one of the best, no doubt. Also, if you happen to get piano lessons from her, I'm sure you'll get more than your money's worth. She's an amazing jazz, classical, and overall pianist." supervision as a Tutor and Supplemental Instruction Leader for approximately three years while he was an undergrad at APU. Adam's knowledge of music, and Music Theory is extensive and comprehensive, and yet he has the ability to break down these complicated theoretical concepts and make them easy to understand for even the most basic learner. I have seen him successfully tutor students at all levels of musical knowledge and experience. If you need to know ANYTHING about music, I strongly recommend you reach out to Adam for services." lad. He was friendly and super knowledgeable and I felt like it all clicked all of a sudden. I was able to learn easily online from my home in Portland. I keep taking lessons with him because I keep learning great tips about performance and theory. He's also really funny. Kellen's awesome!"